Breast Reduction or Weight Loss? 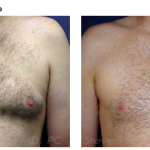 Does Breast Implant Texture Really Matter? Does Breast Reduction Surgery Affect Breastfeeding?